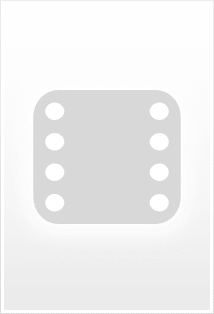 Plantiveau, le concierge: Isn't it time I rang the bell? Michel Delassalle: It's okay. I'll unload the car myself. Q: In what language is this movie? Q: How far is Niort from Paris? Q: How do you interpret the final scene? 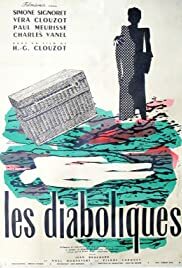 Another terrific suspense film from Henri-Georges Clouzot, Les Diaboliques (also known as "Diabolique") is a tense story of murder, suspicion and revenge. The plot revolves around two women, Christina (Vera Clouzot) and Nicole (Simone Signoret) who conspire to murder the brutish man who is Christina's husband and Nicole's lover Michel, played by the delightfully sullen Paul Meurisse. He is the principal of a boarding school for boys who relies on Vera's money to support his excesses, and the two women are both teachers at the school. Vera has her doubts about committing murder, even though Michel is incredibly abusive. But Nicole convinces her to help drug and then drown Michel. All seems to be going well until Michels body goes missing and the two women turn against each other. The situation is complicated further by the appearance of a retired police inspector who is determined to help Vera find her "missing" husband, despite the poor woman's protests. The tension continues to mount until the hair-raising climax. 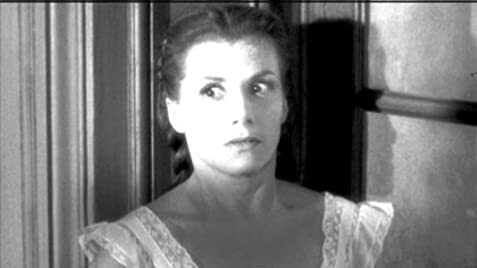 This movie is on a par with some of Hitchcock's best work, although Clouzot doesn't mix much humor in with the suspense, as Hitch often did. However, Vera's interaction with the droll inspector does provides some chuckles. Unlike his previous film, The Wages Of Fear, Clouzot doesn't spend a whole lot of time on the set-up of the plot, but gets right to the meat of the matter, and from there Diabolique rolls along very quickly with barely a letup in the action. I can't believe it took me so long to see this masterpiece. Highly recommended. 66 of 94 people found this review helpful. Was this review helpful to you?